Gurgling creeks and dogs running through overgrown grass chasing butterflies really do exist. When I would forget that, all it took to remind me of this was a walk or bike ride to Hellbrunner Allee. This alley is in Salzburg, Austria, my home last year. I was attending the university there, completing my degree and studying German. I also learned much about the history of the area, including this gravel path that was built by royalty in the early 1600s and is still quite grand. 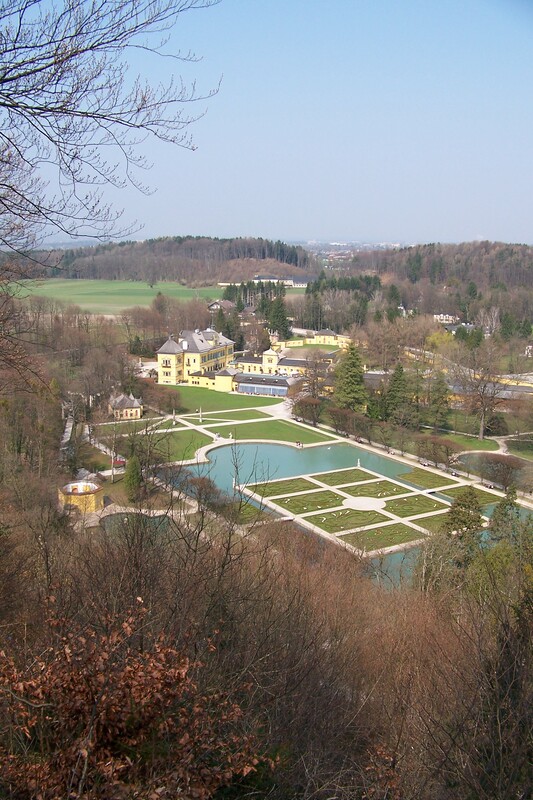 It leaves Salzburg in a southerly direction, headed towards Schloss Hellbrunn, a summer palace commissioned by Markus Sitticus, the prince archbishop of Salzburg from 1612 to 1619. The palace is famous for its trick fountains, which were a wet surprise for the prince archbishop’s guests. Keeping with the theme of surprises, he also didn’t want his visitors to see the palace as they approached, so Hellbrunner Allee leads visitors to the gardens, through which visitors have to pass before finally arriving at the palace entrance. 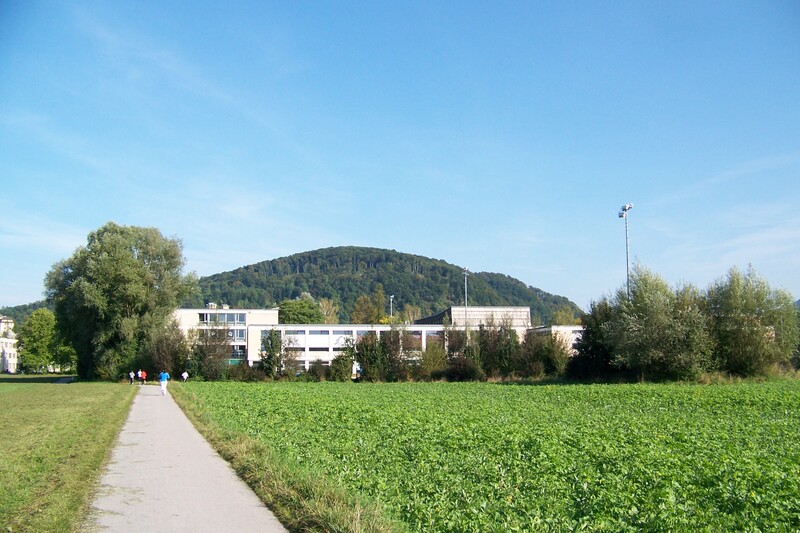 From Nonntal, the area of Salzburg just behind the Festung, the fortress that overlooks the Altstadt, you can easily follow the bike path to Akademiestrasse (some of the university’s buildings are located here), where Freisaalweg begins, leading you to Hellbrunner Allee. 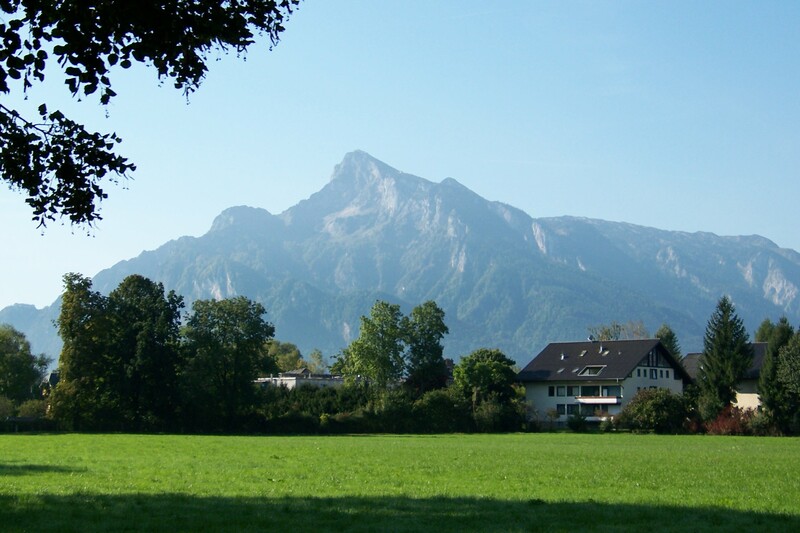 As soon as you step onto Freisaalweg, the city disappears behind the trees in exchange for the Austrian Alps. A mighty group of mountains rise up from the plain, the closest under five miles away. Shouts from schoolchildren and smells of farms waft by on the breeze. 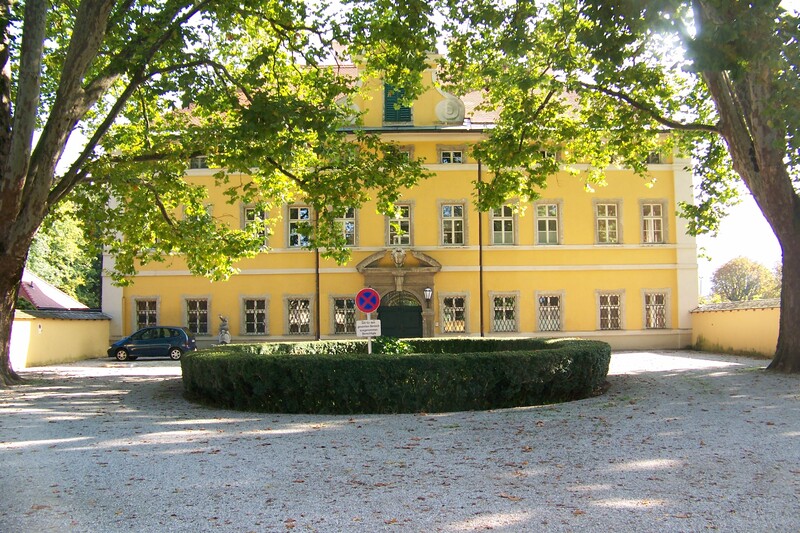 The path first passes the University of Salzburg’s science building and then Schloss Freisaal, a summer residence of Prince Archbishop Pilgrim II from the end of the fourteenth century, and the palace was later situated on an island in a lake now ruled by swans. That is where I always began my journey, about a quarter of the way into the two-and-a-half mile path. On a particularly memorable bike ride here, I counted on getting drenched by fierce-looking clouds; instead, as soon as I pedaled onto the alley, sunlight began sprinkling through the interlacing leaves of the centuries-old trees that line both sides. Behind the trees are pastures that run to houses and farms. Other paths crisscross the fields and intersect Hellbrunner Allee. 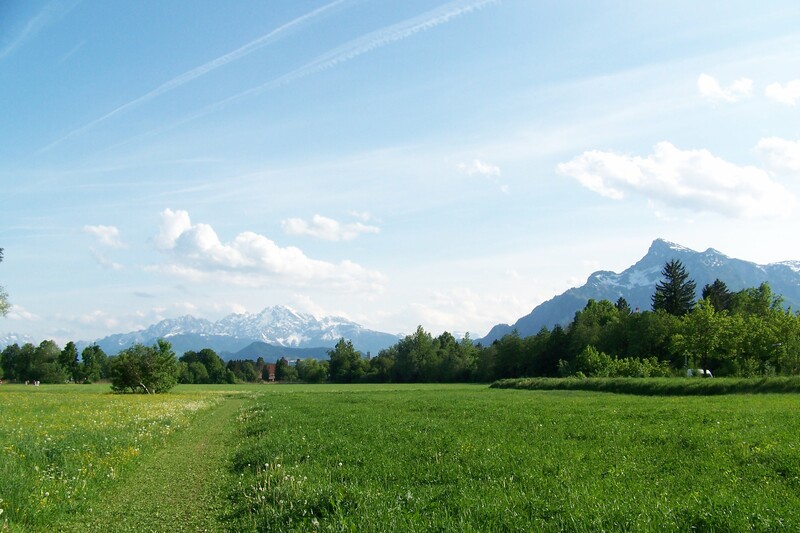 As I continue down the path, I can’t help but think of “The Sound of Music.” It’s hard for me, as someone who grew up watching the movie, to ignore it when I’m in town. I think of running through the pastures, twirling around singing that the hills are alive with the sound of music. But that song doesn’t last long as there is a true movie sight on Hellbrunner Allee. 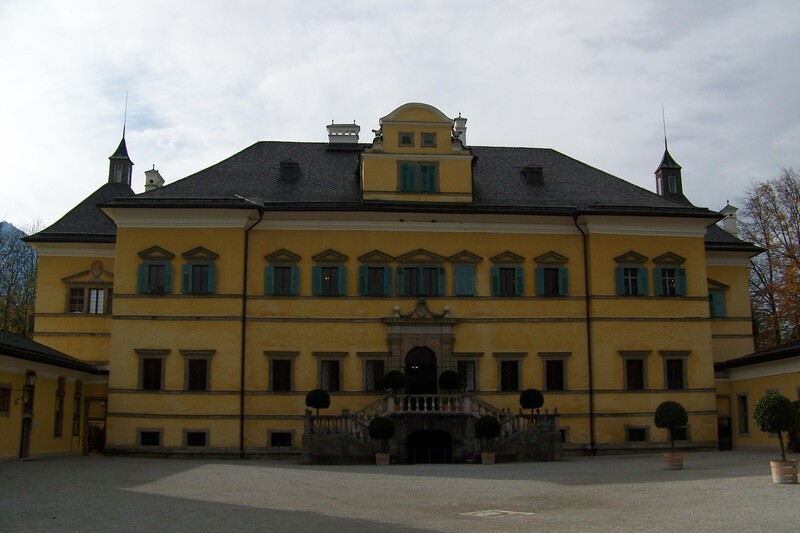 The house that was used for the front of the von Trapp family home is Schloss Fronburg, now a part of the Mozarteum, Salzburg’s music university. You can easily strut down Hellbrunner Allee swinging an imaginary guitar case, imitating Maria while she sings that she has confidence in sunshine and rain. Pedaling further I pass other palaces, cross a couple brooks and watch all types of people out enjoying the scenery, some on bicycles, some on horses, others walking alone, with children or friends, or with dogs. Too soon do I arrive at the end of the alley. 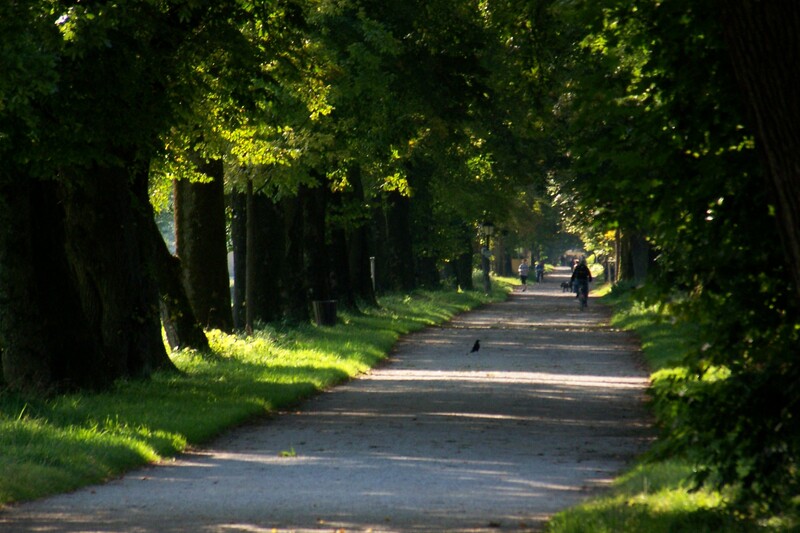 I’m not ready yet to give up the peace I always find on Hellbrunner Allee, so I ride into Schloss Hellbrunn’s expansive gardens, dismount and park my bike, and then begin my search for the perfect place to continue to relax. 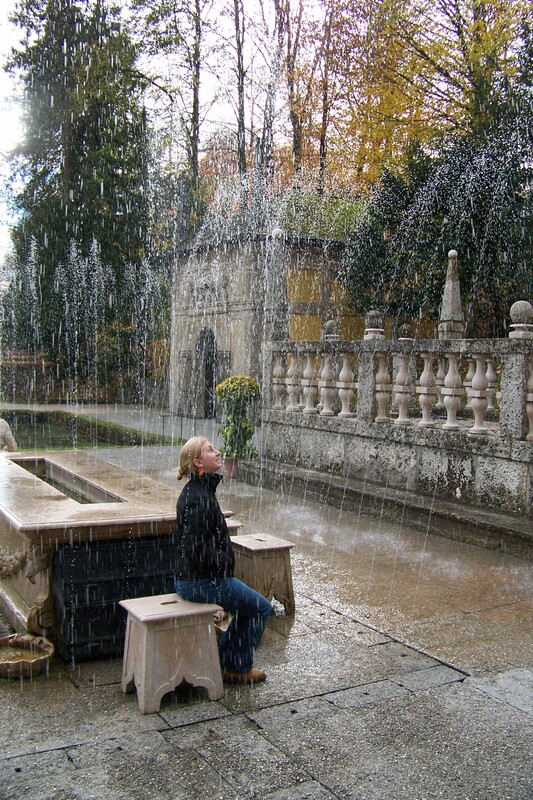 For other ways to relax at Schloss Hellbrunn, there are many choices. You could take the tour of the trick fountains, chancing getting sprayed with water. You could also climb the miniature mountain on the premise and view the grounds from above. Or you could relax in the cafe with a traditional Austrian coffee like a Melange or a Verlängerter. “Sound of Music” lovers also do not want to miss the actual gazebo from the movie located on the grounds. It was shipped to Austria from Hollywood after it was used in the movie. Bike rentals are available at the train station or for a spot closer to the beginning of the path to the palace, rent bikes at Mozartplatz in the Altstadt. 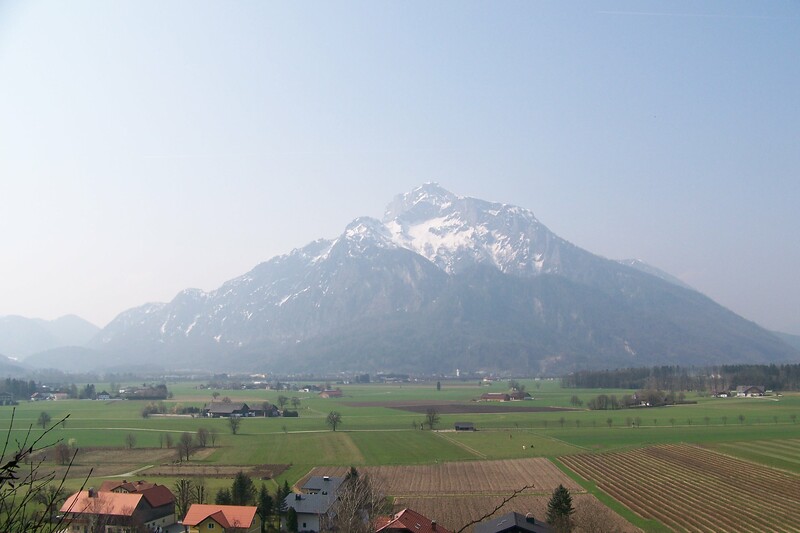 This entry was posted in Europe, Photos, Travel Narrative and tagged Austria, Bike riding, History, Photos, Salzburg, The Sound of Music, Travel. Bookmark the permalink.